Living in China is good for the most part. Smog and politics aside, life is good. You can get anything you'd want here, including video games. Here is a guide on how and where you can buy video games and consoles should you wind up in China. So how does one purchase games? Consoles and console games aren't legally sold in China. PC games are sold openly (and legally), as are China-approved systems and games. Most of the China-approved games will either be heavily censored or based around children's education. Companies like Nintendo, who have a joint venture in China, are allowed to sell consoles. However, one wouldn't really call the iQue devices consoles as they only play iQue games. The list of China-approved iQue games isn't very long. The place to look for console gaming is the gray market, China's own wonderful market of imported goods. Think of these markets like flea markets in the US. Unlike, say, import shops in the States, the Chinese gray market takes both plastic and cash. The best mentality to adopt when heading to a gray market is to think of it like going into an indoor flea market. You need to go in with a plan. The following is a series of tips and tricks on how to get the best out of your purchasing experience at some of China's gray markets. Please keep in mind that we're talking about buying legitimate games in China. These are games in a legal gray area as they're often not approved for sale in China, but they are legitimate copies. We are not talking about bootlegs, knock-offs or rips. Before leaving for the gray market, you should do some research. Research is golden; it can help save you money and time. Websites such as Taobao.com are true goldmines; you can sometimes buy the games and hardware your looking for directly from them. The only caveat is that you can't be 100% sure what you're getting is legit. If you're looking to buy online, you can. Chinese internet consumer protection laws have gotten better over the last 4 years, but for import items, it's sometimes safer to buy in person. Particularly when it comes to Xbox games. Prices on Taobao are fairly reasonable. The median price on Taobao is probably the amount you'll be paying at the store, sometimes it'll be slightly more expensive—probably about a $5-10 difference. The guys with the physical shops have rent to pay. Sometimes Taobao shops online have physical stores too. Once you’ve ascertained that a game can be purchased, it's best to go scout out a market. 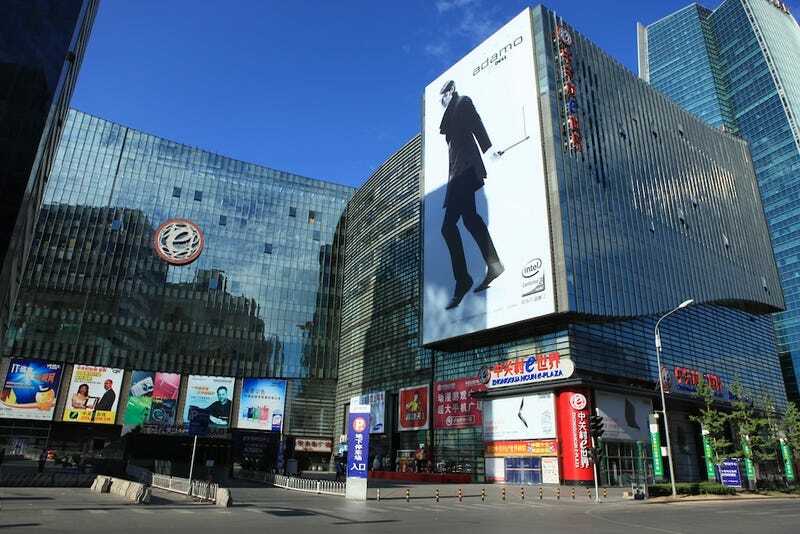 Unlike in the US, where there are Best Buys and GameStops, China doesn't have any of those gaming super stores. So in lieu of these places, one has to find the technology hub of the city. These hubs are great places to pick up both gadgets and games. The video games sections of these malls are usually relegated to the basement floors. There will be game and cell phone shops. The first floor of a tech market in China is usually some sort of authorized retail, such as Asus, Acer, or Sony. The second floor is camera equipment and the third floor is DIY computing. The basement is usually where you will need to go. If you're in Taiwan, Hong Kong or Macau, you're in the clear, any game store will do. You're not technically in China. These gray markets are usually giant hives of shops that can be super disorienting. I tend to start from the right side and slowly walk up and down each aisle making my way to the other side of the building. Stop by every shop where you see something you want and ask the shopkeeper how much the game costs. If you don't speak Chinese, have a printout of what you're looking for. No too worry too much. The clerks in these centres can usually speak some English. If they can't, they talk with a calculator. Everyone here speaks one common language... money. Each shop should have a number. When you find one with the right price, memorize the number. At the same time, look at each shopkeeper. Try to find the one your most comfortable with. Haggling is a must in China. It's done at most shops that aren't malls or brand name stores or restaurants. Small hole-in-the-wall shops, street stalls, and the gray market are all locations where you can haggle. In regards to games and consoles, the haggling leeway is usually around 15-25 dollars. Shop prices will tend to be higher than what you're looking to pay in the US. Once you zero in on the shop you feel most comfortable with, try to get the best price on your item. This is the hardest, but also the most fun part. Normally, a recently released PS3 game will cost around $49-65. This is about the same price you pay in the US. A new $59.99 release with taxes will cost about $63. I paid about 58.86 for my copy of The Metal Gear Solid Collection. It doesn't hurt to know when to walk away. If the price doesn't match your expectations or what is listed online, you should just walk away and try a different location. It doesn't hurt to rattle off prices that competitors have quoted you. Don't be afraid to do a little lying, not all shop keepers are friends with each other. Before you pay, make sure the game is legit and will play on your system. For Xbox 360, Wii/Wii U, Nintendo DS and 3DS games, you need to make sure the game is the right region. Players bringing over US-purchased hardware need to purchase US region games, and so on. Chinese gray market game guys tend to carry more Hong Kong region games, but they can get other region games as well. PS3 and Vita owners don't need to worry about this, as the PS3 and the Vita will play games from any region. The next issue after region is language. HK imports, which support both English and Japanese, have been fairly good as of late. If you're purchasing a console, the shopkeepers will tend to make you pay first before they test the console. It's kind of like that in the States where you can ask GameStop to test your console. Make sure that everything is in the box after they test your console. Once you've checked everything out, and you're happy, you can go ahead and pay. Make sure to get a receipt and a business card with the clerk's name on it. This way you can make it look like you're trying to start a relationship with them. If you do, you can get certain perks such as free posters and the like. My guy updates me on the latest releases via text message. After purchasing a game, you should be good to go. The only issue now is all the after-sales stuff, such as system updates, multiplayer, and DLC. The Internet in China is okay; it works well enough to support online multiplayer with people you know in your time zone. If you're looking to play with people across the globe, be prepared to for lag. DLC for Microsoft and Nintendo is straightforward, because you're stuck buying region-specific games that correspond with region-specific DLC and online stores. For PlayStation gamers it's a bit more difficult. If PlayStation gamers purchase a PS3 game that is of a different region than their console, they will not be able to download DLC. So for instance, if I buy a Hong Kong version of Sleeping Dogs and I play it on my US-purchased PS3, I can't download the DLC off the US PSN store.To download the DLC, you'll need to set up a Hong Kong or Japan or whatever region PSN account. With all that said and done, gray market shopping for games is fairly simple. Not much can go wrong. Shopping for consoles, on the other hand, is a bit trickier, but also not too bad. If you do your homework and scout the scene, you can prevent yourself from being gouged, and you can even make a friend at the same time. Also... if you're in Beijing, look up this guy at Zhongguancun.